Drivers in the market for a new hybrid sedan will want to keep an eye on the 2017 Honda Accord Hybrid. The vehicle is back after a one-year hiatus, and it offers improvements like a more powerful standard engine, an improved fuel economy rating and new standard safety features. The 2017 Honda Accord Hybrid comes in three trim levels: Hybrid, EX-L and Touring. All trims come standard with features like a best-in-class fuel economy rating, roomy cabin and lengthy list of standard safety features. Ready to learn more? Keep reading! 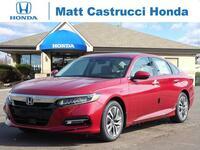 View our new Honda Accord Hybrid inventory! All three trims of the 2017 Honda Accord Hybrid come standard with a fuel-efficient 2.0-liter inline 4-cylinder engine that generates 143 horsepower and 129 pound-feet of torque. Remote Engine Start and Multi-Point Fuel Injection also come standard on all trims. 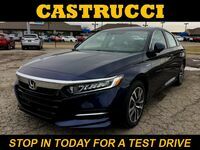 All trims of the 2017 Honda Accord Hybrid come standard with a variety of convenience features, including power windows and door locks, Push Button Start, Cruise Control, a tilt and telescopic steering column and the HomeLink® Remote System. The 2017 Honda Accord Hybrid has a variety of advanced safety features designed to keep drivers and passengers alike safe. In fact, all trims come standard with advanced features like the Lane Keeping Assist System, Adaptive Cruise Control and Honda LaneWatch™. It’s important to do as much thorough research as you can when you’re in the market for a new vehicle. If standard safety features are your top priority, take a look at the list below to see more standard safety features for all three trims! 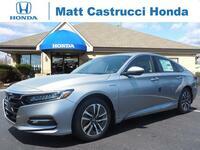 Drivers interested in learning more about the 2017 Honda Accord Hybrid are encouraged to contact a member of our team here at Matt Castrucci Honda. Interested in getting behind the wheel and seeing what the hybrid has to offer firsthand? 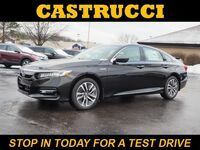 If so, feel free to stop in and see us at our location in Dayton or schedule an obligation-free test drive online today! 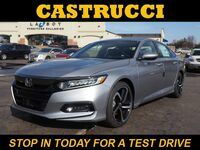 Interested in a 2017 Honda Accord Hybrid?